LOCATION: Toyooka; 4.5km from Kinosaki Onsen. Accessible by Bus. 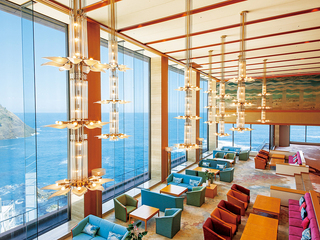 Nestled in a corner of Sanin Kaigan National Park, all of our hotel buildings command a view of the Sea of Japan. Green pine trees, blue water and the white waves crashing into the rocks make an exquisite color contrast to Japan's coastline. The hot springs in this inn contain a wealth of minerals such as sodium, calcium and chloride. These elements are said to be good for health. We prepare delicious 'Kaiseki-ryori' meals cooked with fresh seafood and ingredients from Tajima. The hotel is adjacent to Kinosaki Marine World and only a 10-minute drive from Kinosaki Hot Spring resort. Please make the most of our convenient location. We love to talk to our guests to make their time precious and special. We want to ensure that every moment of your day is a memorable one. Bus from Kinosaki Onsen Sta. 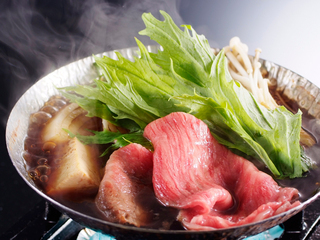 Assorted Sashimi of seasonal fish directly from the fish market, and Kuroge Wagyu beef sukiyaki. Fresh abalone grilled with our original sauce in a ceramic pan. It is a menu that surely makes you feel local colors. 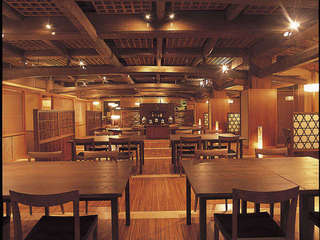 We serve your dinner at dining "San" where you can enjoy more than 20 kinds of alcohol drinks including local sake, shochu and wine. -Dinner: *Spring Menu* Aperitif, Appeitizer (6 kinds), Seasonal sashimi (4 kinds of seasonal fish), Kuroge Wagyu beef sukiyaki, Braised seasonal fish, Grilled fresh abalone in a ceramic pan, Koshihikari rice, Japanese pickles, Soup, Chef's original Japanese-style dessert. ** The menus change depends on the season. ** -Kid's meal: * Children between 10 to 12 do not have an aperitif, appeitizer, braised seasonal fish. * Kid's meal is for children between 7 to 9. 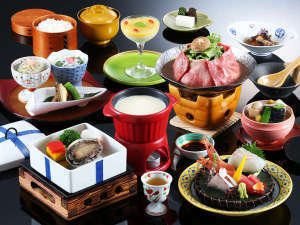 -Breakfast: All-you-can-eat style breakfast featuring mainly Japanese dishes using locally grown vegetables and other ingredients. Japanese set breakfast is possibly served. -SPECIAL Half price for admission to the Kinosaki Marine World (aquariums). Adult JPN 2,470yen to 1,200yen. The ticket can be used from the day you arrive to your departure day. Once you enter it, you can re-enter anytime you like. Moreover, guests staying more than two nights receive a free admission ticket for the Kinosaki Marine World (aquariums). -NOTE- -The dinner menu listed above is partly changed through a year. -For group of guests more than 7 people, we might arrange a separated dining room. -A child (children) between 3 years old and 5 years old will be charged JPN 1,080yen. 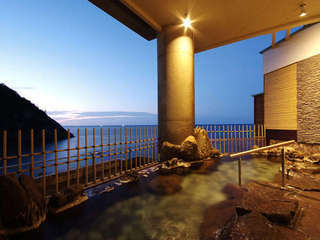 An extra charge of JPY 150 per person for hot spring taxes will be added separately.